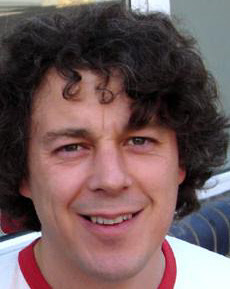 Comic and actor Alan Davies began his career in stand-up in labour clubs in the late 1980s, but he is probably best known for starring in Jonathan Creek as a trick-deviser for a stage magician with a sideline in solving crimes. The show won a Best Drama BAFTA. He also starred as maverick barrister Henry Farmer in two series of the ITV Sunday night drama The Brief. This all-round experienced comedian is well-known for his rambling, often surreal approach, and self-referential pantomime style. Among his constant TV and radio work, being a permanent panelist on BBC quiz game QI, hosted by Stephen Fry, stands out. Here Are Some Quotes From Alan Davies. There’s a lot to do when you’re a kid – spiders to catch, girls to poke in the eye – stuff to be getting on with. Most embarrassing TV moment? On Bob and Rose, where I had to kiss a guy. It was done very badly. If I could choose any superpower I wanted, it would be to have no bodily smell. Some people call me Jonathan in the street and I’m called Jonathan Davies quite a lot, which is odd because he played rugby for Wales! A fool proof plan for not getting a job – in the event of an interview, wear flip-flops. I had no money to help the miners, so I just watched the strike on TV while wearing badges saying ‘Coal not dole’. (After biting the ear of a homeless man during an altercation) He was a raging, horrendous a***hole. He called me a c*** several times. Or if it wasn’t him, it was his mate. I went for him and I did it in what turned out to be an amusing way. The autobiographical My Favourite People and Me, 1978-1988 was published at the end of 2009. Davies has a new BBC comedy, Whites, in the pipeline. The Arsenal fan also makes podcasts about football, and was part of BBC Radio 5’s World Cup line-up this summer.